ClickUp makes it easy to reorganize where your tasks are stored with a few simple steps. Add or remove to your favorites list. To move a Project, all you need to do is select a destination Space. To move a List, you will also need to select the Project that will house the List. 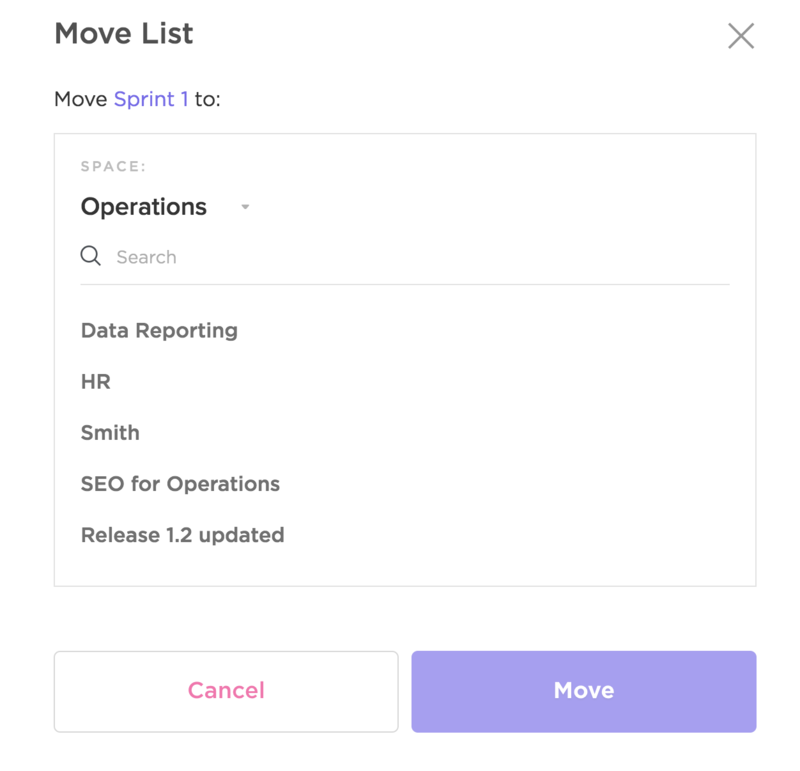 It's important to note that there are two different ways you can remove Projects and Lists from your ClickUp Team. Archiving: This removes the Project or List from view, but does not delete any tasks that are associated with that Project or List. 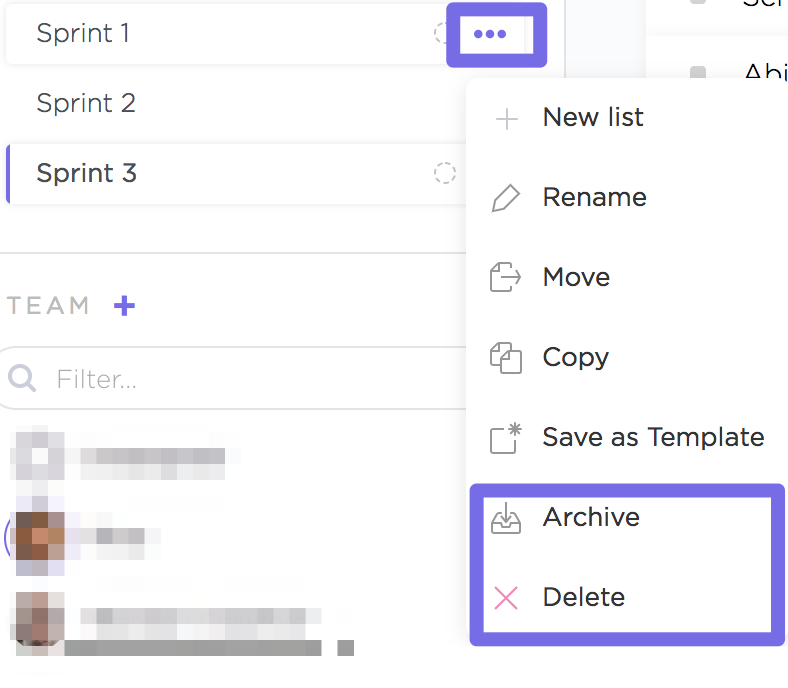 Unless you want to permanently delete tasks within the Project or List, you should always use the Archive option. If you do want to delete tasks, just click Delete.